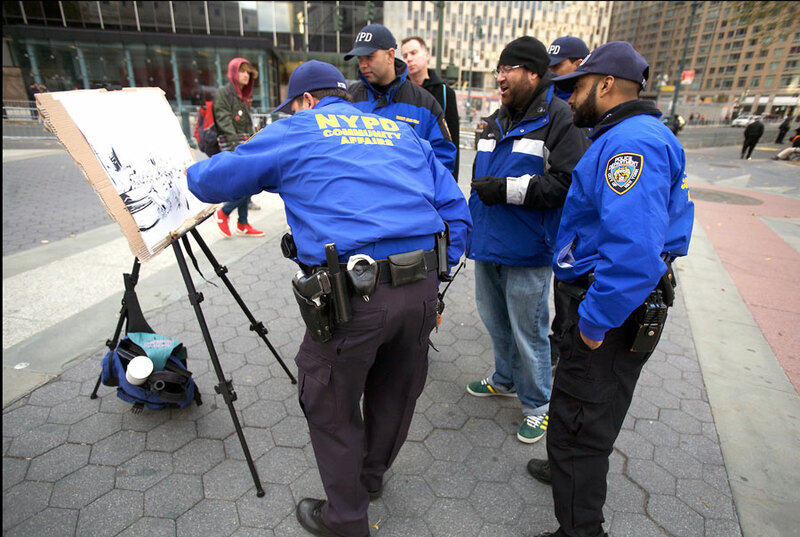 While Boulet drew the Rally at Foley Square the NYPD get to admire his artwork. This is an awesome picture. After viewing your drawings, I can see why the NYPD and other observers were so interested. Your drawings are so detailed. When your book comes out. I want to buy a copy too.